The Wolverine F2D-200 35mm film to digital image scanner with 2.4-Inch LCD and TV-Out will turn a shoe box full of old negatives into a memory card full of memories without using a computer. This standalone converter displays each image on its color screen or you can view it on your TV. 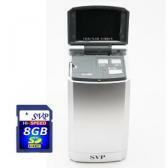 It generates 5 megapixel digital images from any negative or slide. 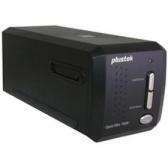 Once the files are created they can be stored on either memory card or transferred to your PC or Mac using a USB cable. 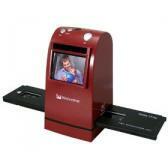 We found Amazon.com is offering a 29% discount on Wolverine F2D-200 35mm Film to Digital Image Scanner. Click here to check it out. 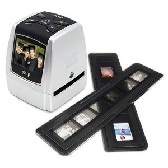 With its film converting technology you can you will be restoring memories from old negatives or slides to beautiful digital images in seconds. Once these negatives or slides are converted into 5 megapixel (JPEG) digital images they can be printed or just shared with your friends or family from your PC or Mac. The files can be stored on memory cards directly plugged into the F2D or transferred to your Mac or PC by using the USB (included in the package). 5 seconds to convert an image. Comes with Negatives Cartridge, Slides Cartridge, USB Cable, AC Power Adapter and Lens Cleaner. 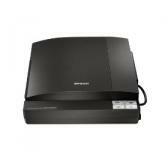 Click here to SAVE $40 on the Wolverine F2D-200 Scanner for a limited time only! The operation of the Wolverine F2D 35mm film scanner could not be simpler, you load the negative strip or slide into cartridge (both cartridges are included in the package) and load it into the viewer unit. A single button begins the operation and in a matter of second you will see the 5 megapixel image on the 2.4 inch LCD screen. If you prefer a large view, you can hook up a cable to the TV out connector and hook it up to your TV. Once the images are created you have a couple of options on what to do with all the files. If you choose not to hook it up to a PC or if it is not convenient to have it hooked up to a PC using the USB (included in package) cable. You can have the files stored on a memory card (not included in package) inserted into the viewer. Once your files are saved on the memory card you can load them directly into one of the many brands of digital picture frames or just pop the card into your PC and upload the files. The Wolverine F2D-200 slide scanner package comes with everything you will need to create more wonderful memories from your piles or boxes of old slides and negatives you have stored away in a closet. It comes with the viewer, AC power adapter, negative, slide cartridges, USB cable and lens cleaner. If you decide later to save the files to a memory card, you will need to purchase one, the package does not include any. Reading through a lot of reviews posted online for the Wolverine F2D-200 35mm film to digital Image converter the overwhelming results have been extremely positive. Many of the reviewers pointed out that it took on a few minutes to go from start to finish and the results were amazing. Another reviewer noted that they were able to turn a shoe box full of slides into nice neat files in just weekend. Several other reviewers pointed out that 5 megapixel images files were perfect for what they were looking for. Of course not all of the comments were positive. One reviewer was a bit annoyed that Wloverine did not include a SD card. Another reviewer was not really impressed with the guide that is included in the package. Out of 249 online customer reviews, over 199 of them have been exceedingly positive. Click here to read more reviews on Amazon. After reading through many of the reviews on the Wolverine F2D scanner I would have to say that the positives far outweigh the few negatives posted about. we feel completely comfortable recommending it. Click here to check it out. How would you rate the "Wolverine F2D-200 35mm Film to Digital Image Scanner"?